When choosing furniture for a home or apartment most people tend to choose those furniture styles they like, with upholstery which looks good or is comfortable. However, most people don’t stop and consider what happens to that upholstery after your furniture has been in your home for awhile where it has been crawled on by toddlers with sticky hands, lopped on my teenagers and adults, slept on pets, and acted as a dust collector for weeks and months at time. 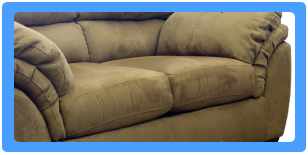 Over time, even with frequent vacuuming and spot cleaning, your upholstery begins to look less than pristine as dirt, dust, and pollutants work their way deep into the fabric and the underlying foam, and those small spilled drops of wine, Kool-aid, coffee or fruit juice not only create stains but act as a dirt magnetic. Worst of all, is the odors that your upholstery can absorb from perfumes, hair products, and even those cooking odors that waft though your home. 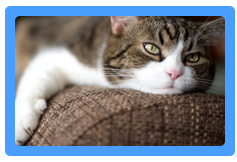 As you know it is important to maintain the cleanliness of your upholstery. Most people like to keep their upholstery as clean as possible, simply because it makes their home look and nice better and most of us like to have a clean and comfortable home. But having your upholstery cleaned regularly is also good for your family’s health especially if you have people who have respiratory conditions living in your home. While many vacuums do a great job of removing much of the dust and pollutants from your sofa, chair, and other upholstered furniture, even the best vacuum does remove it all and over time this dust can built up as well as oils and even household odors and cause difficulties for people with respiratory problems, So having you upholstered furniture deep cleaned can remove more of the dust and polluants as well as those stubborn odors from your upholstered furniture making it easier for everyone to breath just a little bit better. There is simply nothing worse than purchasing cleaning products, and perhaps renting special cleaning equipment only to have to call a professional Upholstery cleaning service to try and undo the problems that cleaning your own upholstery has caused. Not only have you wasted the time you spent cleaning and the money for those cleaning products, you may have damaged some upholstery materials beyond repair. You best bet is to call in that Professional upholstery cleaning service to start with and save yourself time, money and aggravation from the beginning. This means we use the right cleaning processes and the right cleaners to get your upholstery clean, remove those stains, and remove those stubborn odors. It also means that we use the best and effective organic cleaners rather those chemical cleaners that can leave behind residue on your upholstery that can affect the respiratory system. When we are done cleaning your upholstery nothing is left behind except a nice clean and fresh smell. Our green cleaners are safer for you, for children, for pets and for environment, helping us to keep Brooklyn a little cleaner and a little less polluted. Our skilled technicians are magicians at removing those stubborn stains from your upholstery as well. Not only are they good at removing such stains as wine, coffee, and even hair oil and grease, but they can also remove those urine stains from mattresses and furniture left behind by infants, toddlers, and that overly exicited pet. While we can’t guarantee your furniture will look as good as new, most of customers feel that we are able to return their upholstery to a near new state and prolong the life of their furniture and in homes where we are called to regularly maintain the upholstery, the furniture lasts even longer. Our upholstery cleaning technicians are not just skilled at cleaning your upholstery we can also clean those other fabric pieces in your home that may need cleaning or freshening. We can clean those fine silk tapestries bringing back their vibrant colors and removing any absorbed odors. So that the design on your tapestry stands out the way it did when it when it was new. We also can clean your window treatments including drapes, curtains, and blinds leaving them looking and smelling fresher as well. While we are in your home, we can even clean those air ducts to remove more allergens and dust so your entire family can breath better and healthier. Why Not Set Up A Consultation and See What We Can Do for You and Your Upholstery? You don’t have hire us site unseen. While we will be happy to come your home immediately if that is your wish, you can also call us at 718-530-0070 and set up a free consultation so that you can learn more about cleaning techniques, our state of the art equipment, and our green cleaners or get a free estimate for your cleaning needs. We also have a representative standing by online to help you in any way we can because we take customer service seriously, and even if you have never been one of customers before we will treat you as we do all cherished customers.